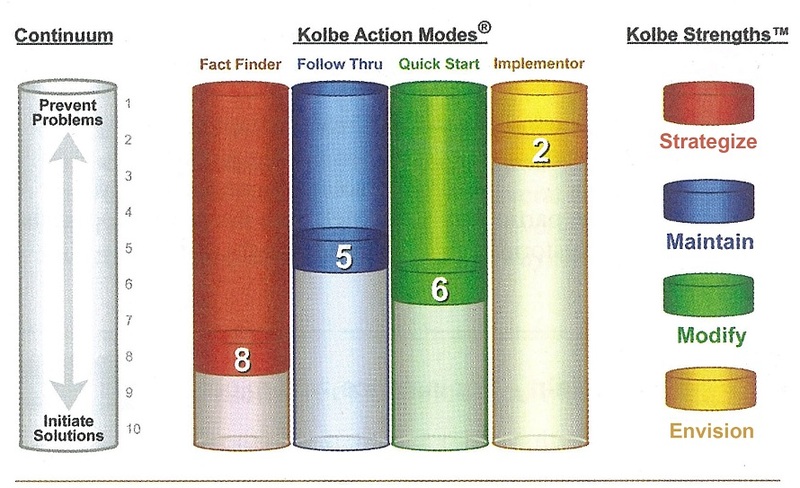 Kolbe assessments identify the natural way that people take action. If left to our own choice, each of us has an instinctive way of problem solving and research shows that people are most productive when they are free to choose their own method of accomplishing a task or providing a solution bout the conative part of the brain. implement equal and unbiased classification of strengths.